Jackson City Reservoir Jackson City Reservoir is in Jackson County. This small reservoir covers 190 acres with 8.4 miles of shoreline. 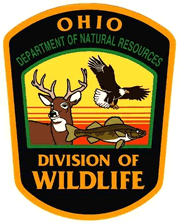 The lake lies within Ohio Division of Wildlife District Four(4). 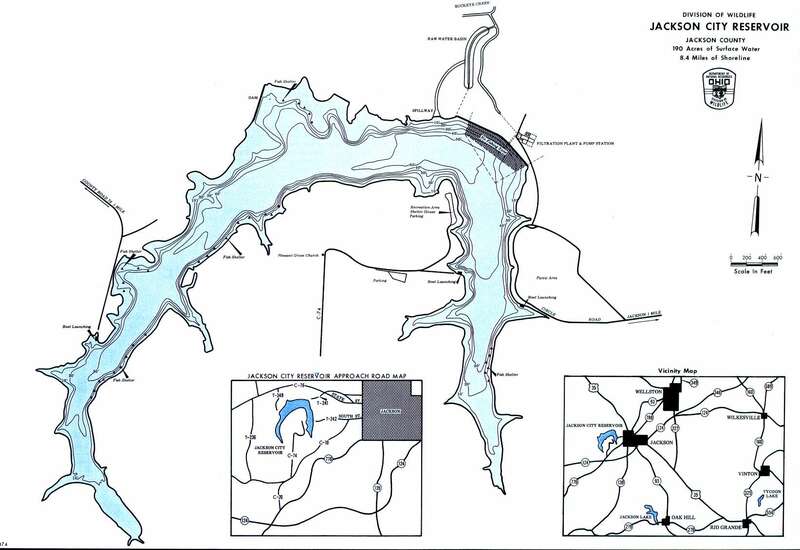 Location Jackson City Reservoir is located in Liberty Township about 1.5 miles west of the city of Jackson. It's also known as "Hammertown Lake". The north side of the lake is accessible from County Road 76 (State Street) and the south side is accessed by County Road 10 (South Street). Distance from Major Cities Approximately 70 miles south from Columbus. Approximately 45 miles from the southern Ohio border. Approximately 100 miles east of Cincinnati. Fishing Opportunities Jackson Lake has a "two-story" fishery. The upper layers of warmer water contain *Largemouth Bass *Bluegill *White Crappie *Channel Catfish *Yellow Perch. The cooler water below holds *Rainbow Trout and *Golden Trout. 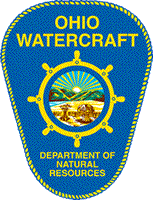 Boating Information There is an electric motors only restriction on Jackson City Reservoir. There are three boat launches and parking areas around the lake. 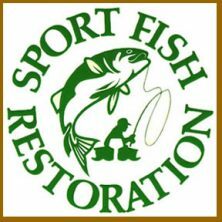 State Management The Division of Wildlife activities include; monitoring fish populations ~ stocking ~ constructing fish attractors ~ physical and chemical water quality analysis. Adult Rainbow Trout are stocked into the reservoir each March.